Understanding the metrics used for licensing Oracle product installations is crucial for determining Technical Usage and License Demand. This report is aimed at those in IT leadership and Software Asset Management with a strong background and interest in software licensing. 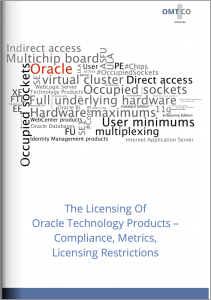 We analyze Oracle licensing, covering their main metrics for Technology Products (including Oracle Databases) and the associated licensing restrictions, using product examples. We give valuable advice and direction to Oracle customers on how to deal with the challenges of such complex licensing. 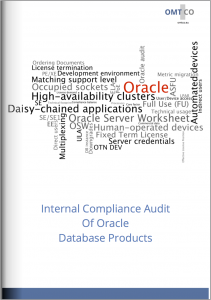 Over the course of the Oracle compliance reviews and counter-audits we perform for our customers, we regularly discover recurring compliance issues, as a result of some typical Oracle licensing pitfalls. 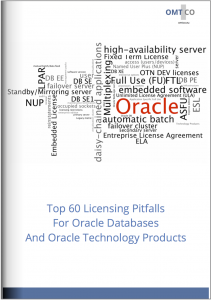 The following report is an aggregation of the most common licensing mistakes that Oracle customers make relating to, among others, metrics, the counting of users and devices, the determination of processor licenses, virtualization, failover clusters, etc.